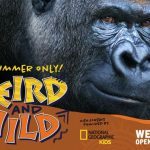 These Winter school holidays get ready to get wild at Wild Nights at Werribee Open Range Zoo! 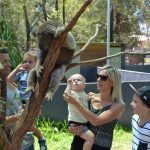 A must-do Winter tradition for little night owls, this unique experience at the Werribee Zoo is an adventure you and your family will never forget. 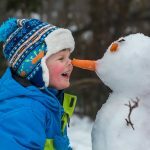 Wild nights provide a range of fun and exciting kids activities to see and do, so get your torches out and explore the African Trail by light. Listen out for the nocturnal critters starting their day. Hear their squeaks and hoots and watch out for their dancing shadows. Find your way to Ranger Kids which transforms itself into the amazing Glow Zone where you will be wowed by twirling, whirling spectacular fire dancers. When the temperature drops keep warm by the camp fire with friends and family toasting marshmallows under the stars. The Meerkat Bistro will be open for a warm cup of hot chocolate, or for the parents, a nice warm cup of delicious mulled wine! 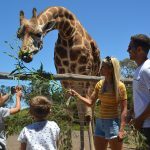 From 5.30pm – 8.30pm: Marshmallow Toasting, Secret Garden, Bandicoot Hideoutm, Monkey House behind-the-scenes, Glow Zone, Keeper Talks: Hippo, Cheetah, Lion and Wild Dogs. For your ultimate Wild Nights experience, book an upgrade with a special Dusk Safari Tour across the African savannah where you can watch the sun set, and the animals coming in to settle for the evening. 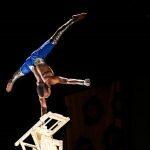 Keep warm under the big top and marvel as Cirque Africa brings their exciting acrobatic performances to Wild Nights with their evening shows. Limited tickets available so pre-bookings are essential to avoid missing out. Between Saturday 7 July and Saturday 14 July. 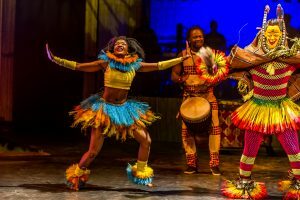 Upgrades for Dusk Safari and Cirque Africa have additional costs. 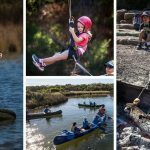 Want to get wild these school holidays? 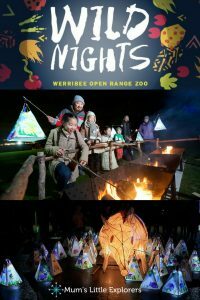 Then head out to Wild Nights at Werribee Open Range Zoo. Not only will you be amazed by these beautiful animals, but you get to experience an unforgettable and unique adventure packed evening in the wild. For more information and to get tickets for the Wild Nights at the Werribee Open Range Zoo these Winter School holidays, head to zoo.org.au/wildnights If you are looking for more school holiday fun, check out our Fun School Holiday Activities in Melbourne.